Eco-activist and media personality Nadya Hutagalung is one of Asia’s most-recognizable female personalities. As a host for Asia’s Next Top Model, she has been recognized as a trendsetter and inspiration to women in Asia, encouraging them to pursue a healthier more eco-friendly lifestyle. 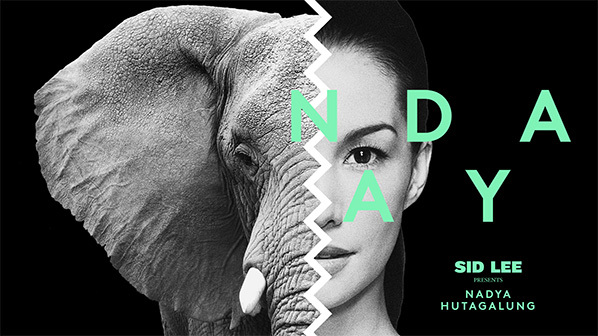 With a long career in television, film and fashion, Nadya has become one of Asia’s leading voices in the Green Movement, advocating for the protection of wildlife and the reduction of ivory consumption throughout Asia and North America. Nadya will be flying in from Singapore to receive the Earth Hour Global ambassador honorary title at the United Nations on March 2nd, highlighting her work as Singapore’s Ambassador for the World Wildlife Fund’s Earth Hour for the last six years. Join us for a very special evening on Friday, March 6th to hear Nadya tell us about her incredible journey from multicultural young female entertainer to honorary UN ambassador. Tags: Eco Activist, Free NYC, Nadya Hutagalung. Bookmark the permalink.